Our USB drives are Professional Grade, Teir 1 chips with a lifetime warranty. Choose from 40 different drive colors and a full array of packaging options. We also carry several Add-ons for your USB order to make your custom USB drive even more convenient! We offer many colors for standard imprints! 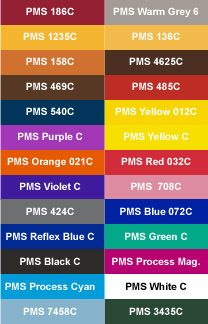 Below is a sampling of the colors we offer. Other colors are available so please contact your sales rep for your specific needs.